Martin Pelster is a member of Croker Huck and his practice focuses on real estate, creditors' rights and bankruptcy, and business law. His extensive real estate experience includes representing developers in the acquisition, financing and development of real estate, including the formation and representation of sanitary and improvement districts and homeowner's associations. Martin regularly represents developers, owners, landlords and tenants in connection with acquiring, marketing, financing and leasing of commercial, office and retail properties, including mixed use and retail shopping centers. Martin has represented numerous banks, credit unions and individual creditors in complex loan restructuring, workouts and foreclosures, including complex Chapter 11 reorganizations and Chapter 7 liquidations. His most recent bankruptcy experience involved representing the leading creditor in the liquidation of a multi-million dollar ethanol production facility in South Dakota. Martin also has a vast amount of experience in representing clients that invest in tax sale certificates, including applications for treasurer's tax deeds and foreclosures of tax sale certificates. 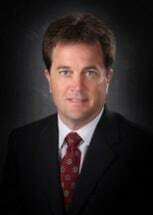 Originally from northeast Nebraska, he began his legal career in Beaumont, Texas after graduating from the University of Nebraska College of Law in 1989. Martin joined the firm as an associate attorney in 1990 and has been a member since 1997.